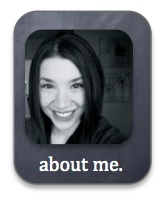 ← ThingLink Guest Post – Thank You, Susan Oxnevad! My students celebrated Pi Day on Pi Day Eve. Every year, I give students a Pi Day greeting card summarizing a brief history of pi. When I ask them, “Why is pi slightly larger than 3? Why isn’t it a little bigger than 7? Or 20? 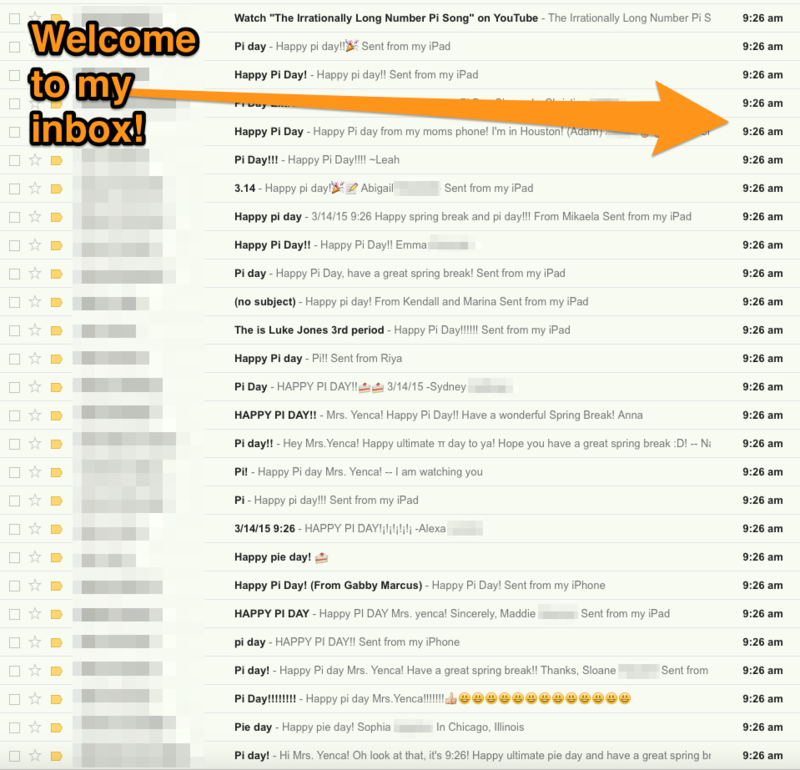 Why pi?” the trend continues – I get lots of answers and most of them are completely wrong. It’s worth it to talk about pi, even to students who should already know why pi is pi. 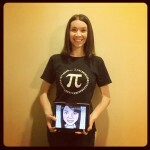 This year, I created “The Ultimate Pi Day” ThingLink, and included both conceptual and novel pi resources. 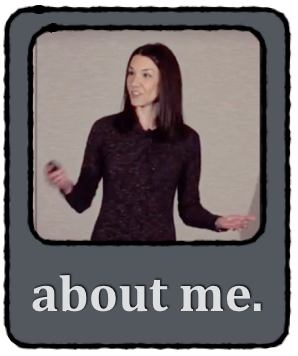 To me, the most powerful resources of “why pi is pi” are the simple Vine video by Nat Banting, and the Approximating Pi Desmos link. 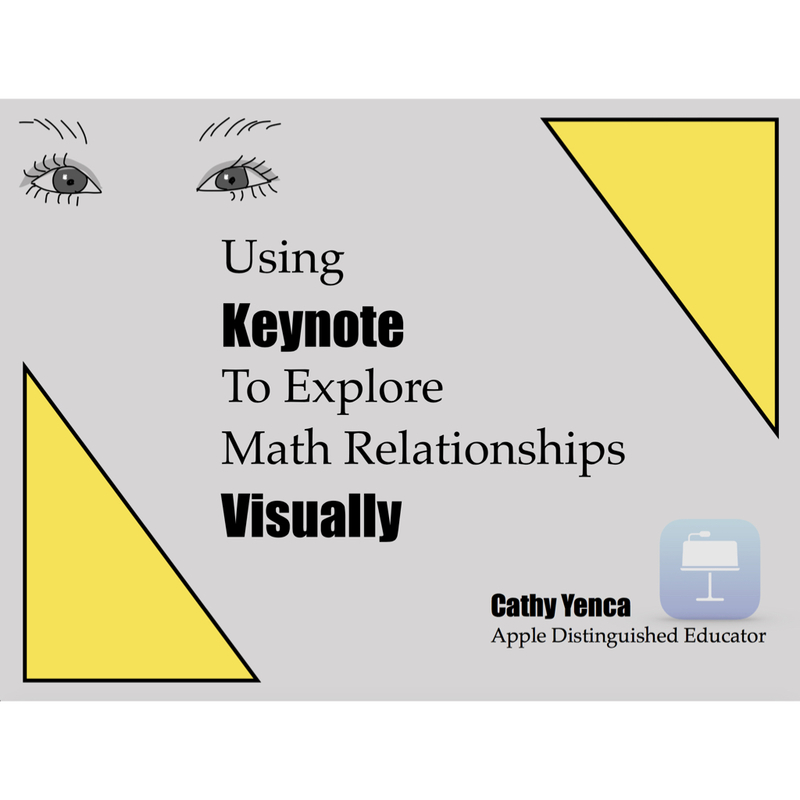 Playing the Vine, then the YouTube video about Pi (in 3 minutes and 14 seconds) and ending with the Desmos approximation provided a powerful conceptual combo for students. These links are labeled 3, 1 and 4 below. We also had some fun finding our birthdays in pi, listening to pi music, and ending with a memorizing digits of pi contest. I know, I know… this is impractical and some may poo-poo this kind of contest, but let’s loosen up a bit about it all. I don’t think we’re imparting some deep-seated theme that math = memorization here if we balance the activities. Have a little classroom fun, folks. They’re middle school kids, and they eat this stuff up. Nick learned the phonetic alphabet and applied this very (complex!) strategy to his pi memorization. He didn’t simply memorize digits – he learned a brand new language, and used it to recite 100 digits of pi. I was absolutely floored. This kid!!!! And then there was Skye. She and her mother have been working on the digits of pi all week. When Skye mastered the first 80 digits by mentally breaking them into smaller chunks, mom encouraged her to keep going. Together, they also worked on the first 100 digits. To be sure to take the win, Skye learned 103 digits and walked away, proudly, with Michael’s pi print. For the record, Michael sent an entire collection of his autographed prints to us, so the top pi memorizer in each of my classes received a different piece of art. His generosity was the icing on a Pi Day (Eve) we won’t soon forget. A Very Happy Pi Day to you! 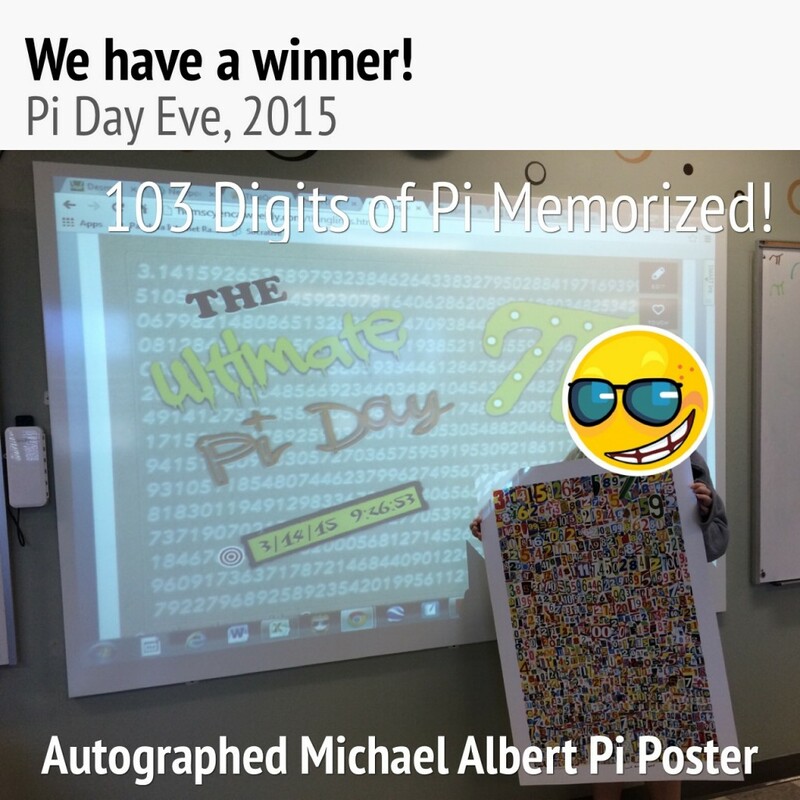 This entry was posted in Algebra 1, Pre-Algebra and tagged Michael Albert, Pi Day, thinglink, YouTube. Bookmark the permalink. I love how you use Thing Link with your students! 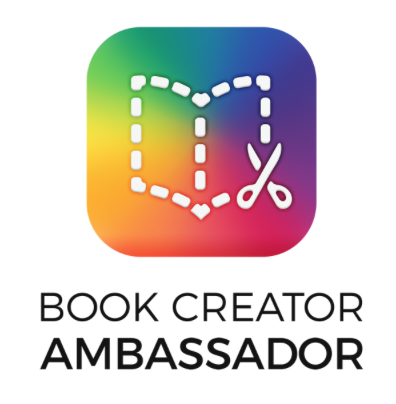 My middle school students are not allowed to have the app because the rating is too high. Did you have that problem at all? It’s a mnemonic system that’s much easier to learn compared to the one in the video, because translating the letters back to numbers is simple. 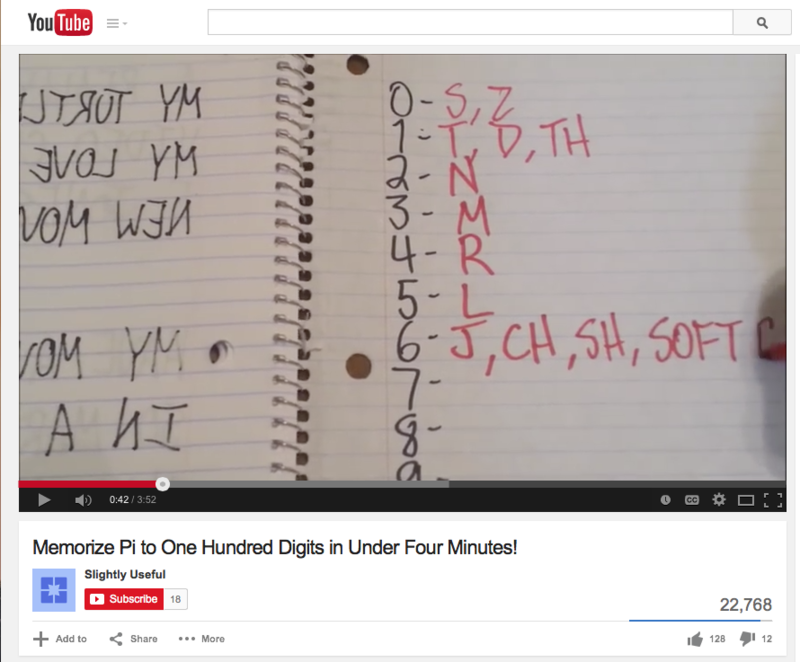 Your students can even write their own stories to memorize pi or any other strings of numbers. Thanks for the tip! I left the strategies entirely up to my students, and found the variety in their methods so interesting! Have you seen pi as a generalized Continued Fraction???!!! It is, lie the square root of 2 and phi, so much easier to understand!! 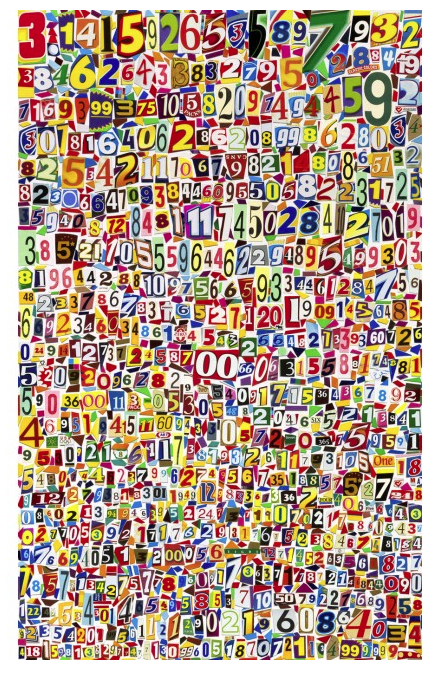 Please teach your students about Continued Fractions and open their eyes to the wonderful patterns hidden in numbers!! 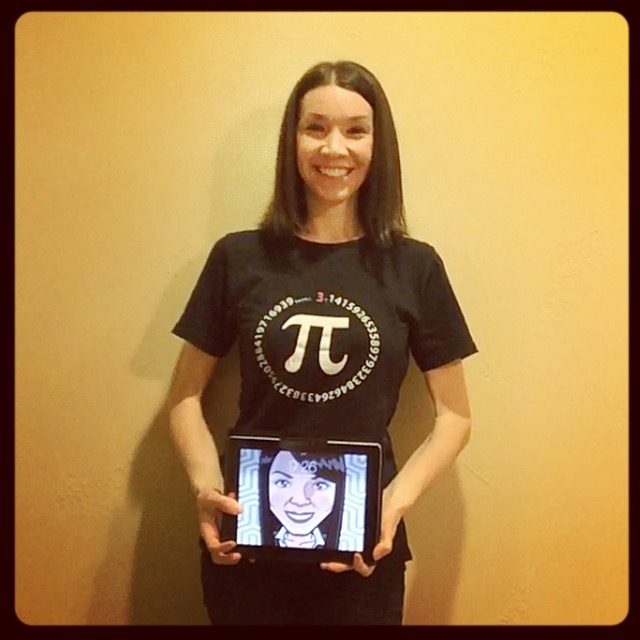 If you read my article, you will see other representations of π that are just as amazing!